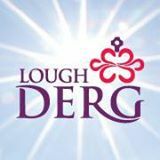 Lough Derg is to host its first ever day of support for those living with suicide on 25th September. The event is aimed at helping those who have relatives or friends who have died by suicide, or who have had suicidal thoughts themselves, and those involved in ministry and support services. It offers an opportunity to seek a deeper understanding as well as support to make sense of it all. “Everyone is living with suicide ….it affects everyone and can affect anyone at anytime,” Fr Cathal Deery, a priest of Clogher Diocese who also ministers on Lough Derg, and who is also the event organiser said. 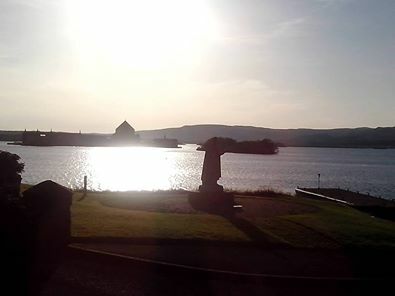 “Lough Derg is a safe place where everybody is equal and nobody is judged. People come all year for a variety of reasons – to pray for themselves, for healing, to be listened to,” he told CatholicIreland.net. Fr Deery is all too aware of the stigma attached to suicide and how important it is to talk about it. The day will provide an opportunity to talk and there will also be three speakers sharing their experiences. ‘Beginning the pilgrimage from heartbreak to hope,’ will be the them addressed by Christy Kinneally, the popular Irish speaker, writer, and broadcaster. He is known for his wisdom and compassion in the area of bereavement and has ten books in print. The day in Lough Derg differs from other events about suicide. Fr Deery explains that Lough Derg is renowned as a place where people go to be in touch with God. “(The day) is offering people something around faith and God’s mercy, compassion and healing, and hope that maybe isn’t offered in a more secular sphere,” he said.